After the hugely successful recital at the Tapestry of Sacred Music at the Esplanade, giving the Singapore Klais a thorough workout and, at the same time, getting the entire audience clapping along to the encore (which was Nigel Ogden's Saints on a Spree), I'm pleased to say that I am preparing a similar sort of programme for the Pedals and Pipes concert there on Friday 9th December at 7.30pm. Mark it down in your diaries and watch this space for programme details! I've got some interesting and exciting ideas up my sleeve and I'm discussing with the Esplanade authorities which one they like the sound of most. Be assured there will be little of a serious vein, although one Nigel Ogden a year is more than enough for me. Equally successful, although, for a change, we had a couple of empty seats (possibly put off by the shenanigans earlier in the year when nobody turned up to open the hall) was the last DFP recital on the Kuala Lumpur Klais. This couldn't have been more different, concentrating on Baroque music in the company of two of the MPO trumpeters. I'm trying to persuade the MPO clarinet, Marcel Luxon, to join me for the next one as it's a celebration of his native land, but I'm not holding my breath; Marcel likes his music very serious and, I'm afraid, this recital is not going to be entirely high-brow. Still we live in hope and I'll update the details nearer the time. I had hoped to be able to add an extra recital in KL during May or June – a lot of people have asked for one – but the hall is being used for several extra concerts of local music and you know what that means; acres of speakers, cables, prompting boxes, mixing desk and all the paraphernalia that comes when performers who can't live by their own wits take to the stage. Unlike an orchestral performance of, say, a Mahler Symphony, we can't just go in when the orchestra's not there and give a concert using the upstairs console, the whole hall is off-limits to any but the electricians and technicians for days in advance. So KL organ fans have to wait until Saturday 16th July at 1.30pm for their next fix. Please make sure you book your FREE tickets well in advance as these things have a habit of filling up quickly and as this will probably be the last free recital (next season the organ programme is being taken over by the MPO Artistic Team, so I can't say what will happen), I expect it to be packed. 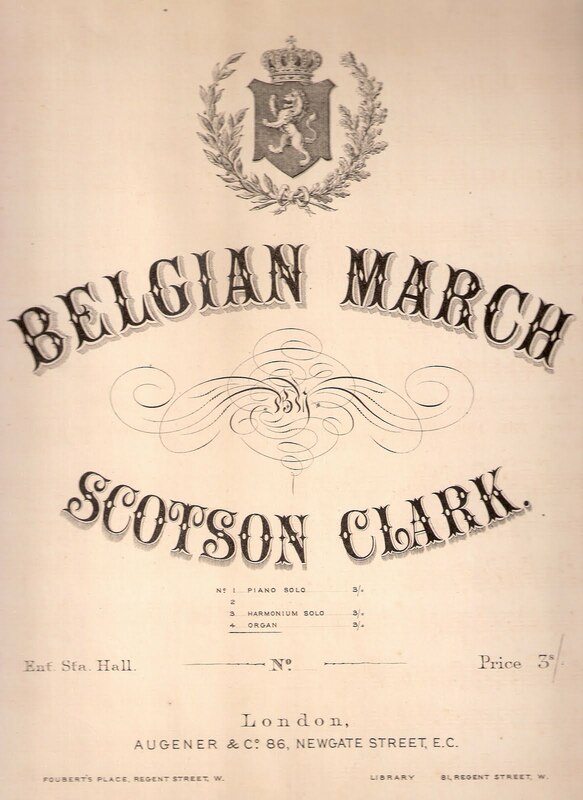 That recital almost coincides with the Belgian National Day, and it struck me as a good wheeze to plan a programme of Belgian organ music. The Bibliography of Organ Music by W B Henshaw, an invaluable - if rather heavy – tome for anyone planning an organ recital, lists 158 Belgian composers who have, between them, published 1338 pieces of organ music, so filling 45 minutes with Belgian music is no difficulty at all. The only problem being what to miss out. Of course, César Franck, Joseph Jongen, Flor Peeters and Jacques Lemmens must be there, which pretty well fills up the 19th and 20th centuries. So what about earlier music? I'd love to include something by Jean-Baptiste Cupis de Camargo (1711-1778), partly because this year marks his tercentenary, but more especially because he is described as a "Belgian composer and Horseman", and there aren't too many of them around. Sadly, he (and am I alone in noting a nominal similarity with a French region famed for its horses?) didn't write any organ music. Jean Baptiste Joseph Boutmy (1725-1799) did, but I've not been able to lay my hands on the two Divertissements Henshaw lists. The heyday of Belgian music came even earlier, and while composers such as Dufay (1400-1474), Ockeghem (1410-1497), Josquin (1440-1521), Nicolaus Gombert (1500-1556), Clemens non Papa (1510-1556) and Lassus (1532-1594) cannot be ignored, none of them wrote any organ music and, in any case, you could argue that they weren't really Belgians in the first place. 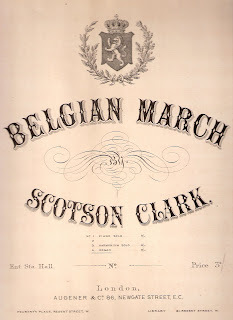 The problem is that Belgium as a distinct national identity didn't come into being until 1830, so to be totally correct, if I am to give a recital of Belgian music, it can't properly have any music it in it from before that date. And there's nothing wrong in that. I frequently criticise those who devise recital programmes for diplomas for casting their net too widely over stylistic and historical periods, attempting in half an hour to cover centuries of music. So I'm happy to confine myself to the last 181 years; there's more than enough to be going on with. Groves Dictionary writes that, after achieving independence, Belgium "immediately set about establishing its own national musical institutions with the conservatories of Liège and Brussels". 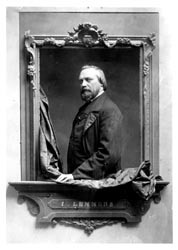 The former, it suggests, was aimed primarily at violinists, but among the pupils of its first director, Louis Joseph Daussoigne-Méhul (1790-1875) was César Franck, while in Brussels the Conservatoire Royal de Musique was established in 1832 and had as its first director yet another hyphenated Belgian François-Joseph Fétis (1784-1871), a man who did write for the organ (including a magnificent Fantaisie Symphonique for organ and orchestra; I possess a recording but when I tried to programme it with the MPO even our brilliant librarian of the time was unable to track down the score). A significant pupil of his was Lemmens. Much though it pains me to say so, Grove is factually incorrect in its statement that "all Belgian music of the early 19th century…was predominantly influenced by the French". Both Franck and Lemmens were not influenced by France, but rather went on to be the dominant influences over French organ music; indeed, we can say that organ music in France in the second half of the 19th century was entirely and uniquely influenced by Belgium. 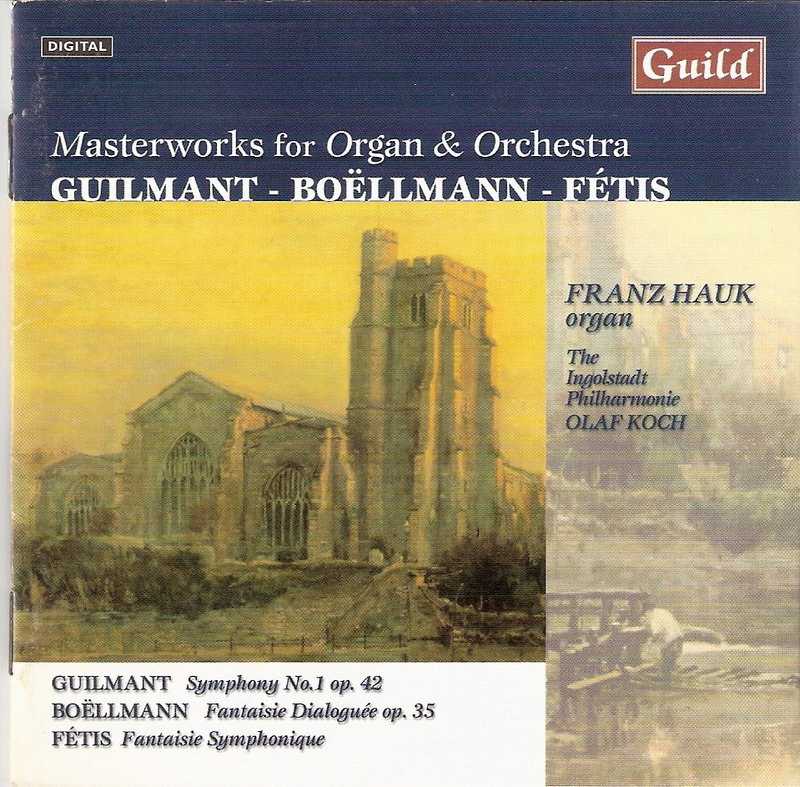 Franck settled in Paris where he dominated the organ scene and counted amongst his pupils Louis Vierne, while Lemmens's influence spread to France by way of his pupils Guilmant, Widor and, most significantly, Cavaillé-Coll. Students at the Liège Conservatoire included Joseph-Jacques Callaerts and Joseph Jongen, while indirectly influenced by Lemmens (they were trained at a conservatoire Lemmens created in Mechelen specifically for church musicians) were both Flor Peeters and Arthur Meulemans. So I think we have enough to be going on with, and add to that the Belgian March which I picked up in a second-hand bookshop in Falmouth (which set me off thinking about a recital based around Belgian music in the first place), and you have the programme for my next recital at Dewan Filharmonik PETRONAS. This is subject to change, but hopefully this will get your taste-buds going; and if I can rustle up some Belgian chocolates to hand out after the recital, so much the better! The French like to claim him for their own, and he did spend most of his life in Paris, but if proof were needed that he was Belgian, you need only look at his name. For some reason, many Belgians have very long, frequently hyphenated and extraordinarily complex names (even by Malaysian standards) and bearing the mighty moniker César-August-Jean-Guilleaume-Hubert Franck places him firmly north of the French border. He was so talented that even before he had completed his studies with Lemmens in Brussels, he had been appointed Organist of Antwerp Cathedral, where he had been a chorister. He made quite a racket in Antwerp, what with one thing and another, for he was also the city's carilloneur (the man who rang the bells). For organists Joseph Marie Alphonse Nicholas Jongen needs no introduction, yet I have to confess that I admire rather more his chamber and vocal music, which is only now coming out on disc. He had the chance to live and work in New York but decided to remain in Belgium. 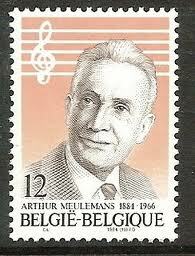 Unfortunately, the First World War forced him to flee to England, but on his return he was appointed Director of the Brussels Conservatoire. An interesting if short-lived character, his mother had been a student of Chopin's, while he himself had studied organ in Paris with the then organist of Notre Dame (Eugène Sergent who, despite holding the post for an astonishing 53 years, eventually succeeded by Vierne, is almost totally forgotten today). He held a few organists' posts in his native London, as well as at Exeter College Oxford, and on being ordained into the church of England, promptly rushed off to Leipzig and Stuttgart to continue his studies, eventually returning home and founding the London Organ School. July was a notable month for Florent Peeters who was both born and died in July; specifically on the 4th. He possessed a personal keepsake of César Franck – he owned the organ console Franck had designed for St Clotilde in Paris – and was, in the words of John Henderson's A Directory of Composers for the Organ, "one of the few musicians ever to be made a Baron by the King of Belgium". He wrote this piece during a recital tour of the USA in 1949 and dedicated it to the great American virtuoso, E Power Biggs. Arthur Josephus Ludovicus Meulemans (commonly, and incomprehensibly, referred to as A J G Meulemans) is remembered in Bruges every five years when a play for which he wrote the music, Sanguis Christi, is presented in the city's belfry. His suite of six pieces from which these two come, is dated 19th May 1960. Henderson (op.cit.) 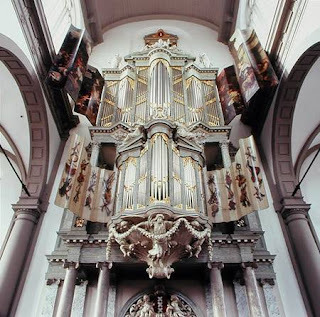 sums it up beautifully; "Jaak Nicolaas Lemmens was to influence the world of organ playing far more than his organ compositions might suggest". His compositions were, at best, frivolous, and include a famous musical evocation of a storm complete with thunder and lightning and driving rain. No such pyrotechnics in his "Fanfare for Concert Use" which is given that title to differentiate it from the remarkably improbable "Fanfare for the Drawing Room".